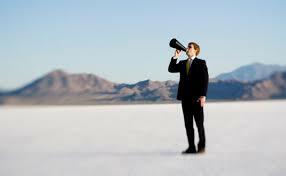 The main thing to consider is that publicity stunts can and do work, but only under certain conditions. They have to be unique enough to gain attention but they also need to be relevant to your target audience and consistent with your brand values. 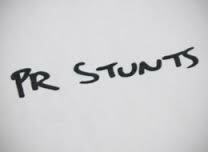 Stunts are typically created for shock value, so a lot of care should be taken to make sure they fit into your overall brand narrative. For that reason alone, it’s best not to take unnecessary risks – if you want to use media stunts for your business then it’s always best to engage the professionals to make sure you get it right. We can’t talk about media stunts without paying homage to perhaps the biggest stunt of all time, The Great Jump in 2012. In a Red Bull sponsored event, Felix Baumgartner became the first person to break the sound barrier without the help of a machine by falling 23 miles from the earth’s stratosphere. The jump earned the world’s attention and accounted for 1% of all online conversations at the time. Genius. You probably don’t have the budget or the inclination to go this crazy but there are a million and one stunts you can pull to raise awareness of your products and increase engagement with your brand. All it takes is some lateral thinking, a bit of creativity and planning.